It’s been over three decades since Christchurch record shop employee and music fan, Roger Shepherd, was inspired to start a record label as an outlet for South Island bands. And it was the city of Dunedin that quickly became most strongly associated with Flying Nun. In 1982, four bands from that southern outpost – The Chills, Sneaky Feelings, The Stones and the Verlaines – each recorded a side for a double 12″ EP pack that, which actually untitled, was referred to as the ‘Dunedin Double’. Now for Record Store Day (April 19), Flying Nun will to re-issue this four EP set that went on to kick start the label. Not only was it ‘untitled’, it was an unusual format with no set order and containing two 45rpm 12″ discs. Re-mastered, the Dunedin Double is being re-issued again in its original format and limited to 2000 copies. Recorded over two weekends in damp New Zealand, South Island flats (on portable four track by Chris Knox and Doug Hood), it was distinctly lo-fi and in tune with the ‘do it yourself’ ethic at the heart of the label. Furthermore it brought the world’s attention to The Chills, Verlaines, The Stones and Sneaky Feelings and established the notion of the ‘Dunedin Sound’, a phrase coined for the young bands that followed in the wake of The Clean and an influence which carries on to indie-pop bands around the world today. The Dunedin EP theme continues with Flying Nun’s other Record Store Day release, the Bored Games Who Killed Colonel Mustard EP. Released the same year as the Dunedin Double (1982), it introduced the music of a 17-year-old Shayne Carter who would later go on to form The Double Happy’s and Straightjacket Fits. In the tradition of many great bands, they formed while attending high school, debuting at the school’s talent contest in 1979 and going on to play a show supporting Toy Love. Featuring Carter as vocalist, the band included the likes of Wayne Elsey (The Stones, Double Happys), Terry Moore (The Chills) as well Fraser Batts, Jonathan Moore and Jeff Harford. The band broke up in 1981 before Who Killed Colonel Mustard was released. However, they left behind four catchy tracks, packed with teenage angst manifested in early punk stylings. As part of the Record Store Day release, the EP has been remastered and includes an insert of previously unseen photos. This EP will be limited to 1000 copies. Following a blazing SXSW, Wye Oak have revealed a ludicrously addictive second single from their new album Shriek (out April 28 on City Slang), plus full tour dates. 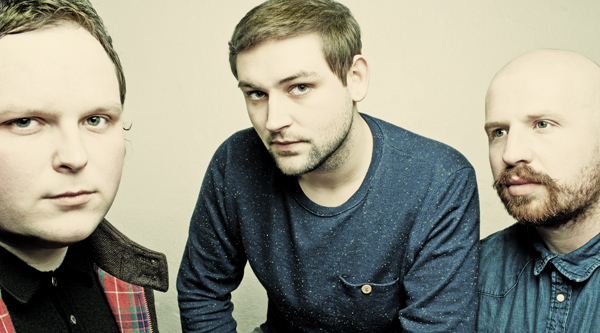 New single Glory received high praise from BBC 6music’s Lauren Laverne when she gave it a first spin earlier this week and rightly so. The track showcases the drastically new approach to song writing the duo have developed since their last record in 2011 and yet the richness of Jenn Wasner’s vocals and the powerful melodies keep it sounding distinctly Wye Oak. 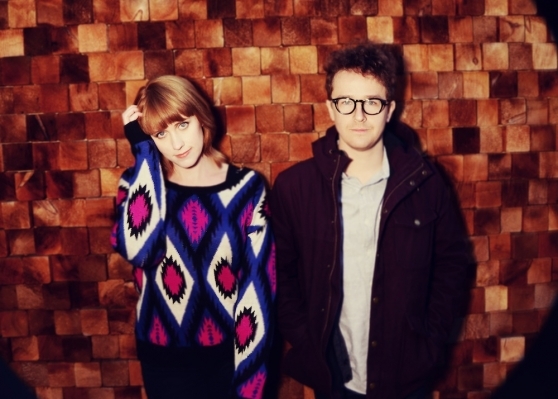 Following extensive touring in support of their critically acclaimed 2011 release Civilian, which – for the UK – culminated in two performances at The National’s ATP and a Scala headline show in December 2012, Wye Oak members Jenn and Andy found themselves apart for the first time. Andy had recently moved to the west coast, leaving their hometown of Baltimore. Simultaneously but separately, the two began exploring new ways of writing. Jenn, having picked up the bass did not begin with her typical guitar and likewise Andy began to explore different ways of layering keyboards. Both worked with other people and Jenn explored other moods under the titles Dungeonesse and Flock of Dimes. The freedom of these new methods allowed for a new found emotional immediacy and in spite of, or perhaps because of the distance, Wye Oak have recorded their most personal album yet. Shriek was a co-production between Wye Oak and Nicolas Vernhes of the Rare Book Room in Greenpoint, Brooklyn. Vernhes also engineered and mixed the album. His inventive production work complimented the band’s new direction, helping them to create their immensely layered and emotive new sound. Fans can pre-order the album now via iTunes as well as through the City Slang webshop. Shriek will be available on both CD and LP, including a limited run on orange vinyl available on Record Store Day. As part of Record Store Day, which takes place on April 19, Battle Worldwide Recordings will be releasing a limited edition 12″ Vinyl entitled My First Record, My First Store. This record will feature a variety of Battle Worldwide Recordings’ acts covering tracks from albums that truly inspired and helped mould them into the artists they are today. What is the defining point in an artist’s life that makes them take a path that will envelope their interests and work for the rest of their life? Every musician has a point, usually in their teens, that is an awakening that excites their senses and drives them to pick up a guitar, microphone, drum kit or even a laptop nowadays and start producing music. My First Record, My First Store is a physical and digital diary from Battle Worldwide Recordings’ artistes and partners, put together for Record Store Day 2014. My First Record, My First Store will map stories from each artiste on the label about the record that most influenced them, where they bought it and why it was important to them. Over the coming months, stories will be added to the Battle Worldwide Recordings website that will include streaming links and other goodies. On Record Store Day 2014, Battle Worldwide Recordings will release a limited edition colour vinyl compilation of artist recordings of select tracks. You can follow the campaign here.